The BJD Government, under persistent attack from the Opposition over corruption and other issues, launched its Padayatra from Ekamra Assembly constituency here on Tuesday. The BJD Government, under persistent attack from the Opposition over corruption and other issues, launched its Padayatra from Ekamra Assembly constituency here on Tuesday. In its counter attack, the BJD listed 10 mega scams under the UPA-II rule to be taken to the people during the annual padayatra that will continue till October 11, birth anniversary of Jayaprakash Narayan. Flagging off the padayatra, Chief Minister Naveen Patnaik addressed a gathering and announced the State Government’s commitment to provide all basic amenities to the people. 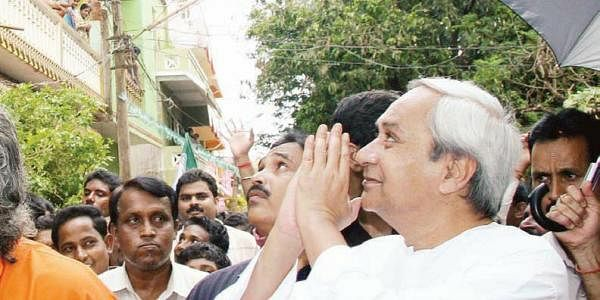 Criticising the Centre for discriminating Odisha by not providing adequate financial assistance, Naveen said people will not tolerate if the Centre continues to deprive them of their basic rights. The 10 scams listed in a leaflet to be distributed among the people during the yatra include the coalgate, the 2G scam, corruption in organising the Commonwealth Games, Adarsh Housing scam, irregularities in the IPL, Satyam scam, sale of food items meant for the BPL families in open market, the ISRO spectrum agreement, irregularities in the food-for-oil scheme and UPA’s attempt to suppress the Hasan Ali Khan case. The padayatra launched at panchayat, block and district levels will also propagate the schemes launched by State Government during the last 12 years. Two observers for each Assembly constituency have been appointed to coordinate the yatra.